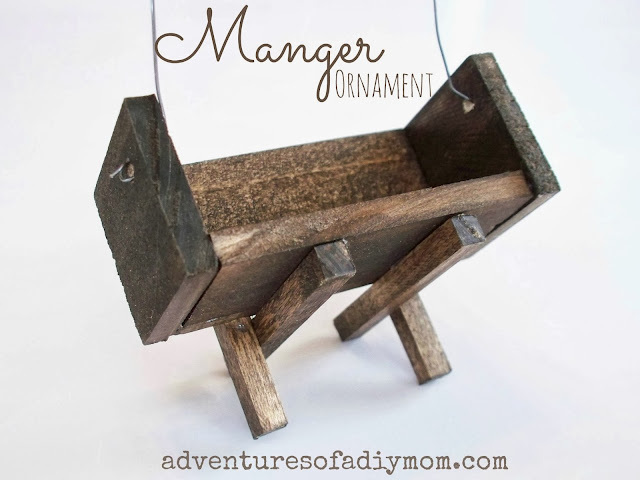 Learn to make a manger ornament. 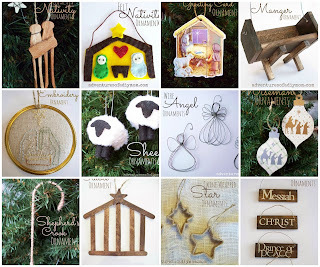 These cute little mangers are made from paint sticks and square dowels. So I originally found this idea at It's Always Autumn. She has a printable pattern. The problem was that my printer wasn't working. Plus, I like working with actual measurements. So here's how I did it. Step 1 - Sand off the writing that comes on the paint sticks. Cut 4 - 2 1/4"
*Note - I just realized my picture has only 2 dowel pieces. You will need 4. If you desire to stain your wood, do so before gluing together. 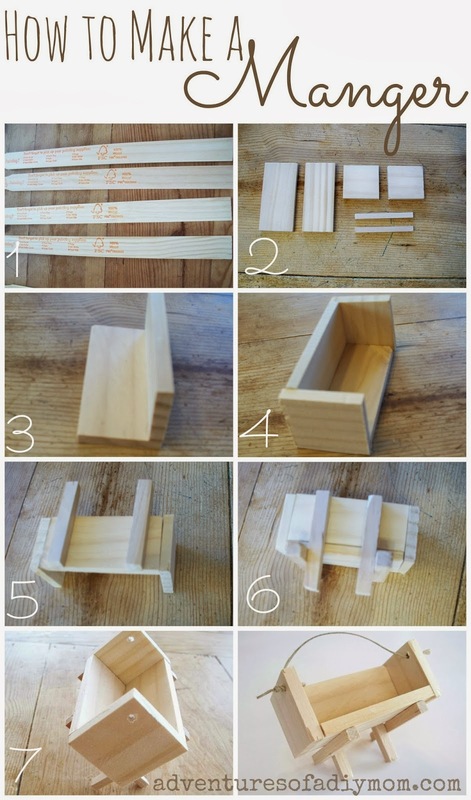 Step 3 - Start with your 2 3/4" sized pieces. Hot glue the smaller one to the larger one. I found if I held one of my square pieces next to it, I could get it square. Step 4 - Hot glue the square ends of the manger in place. 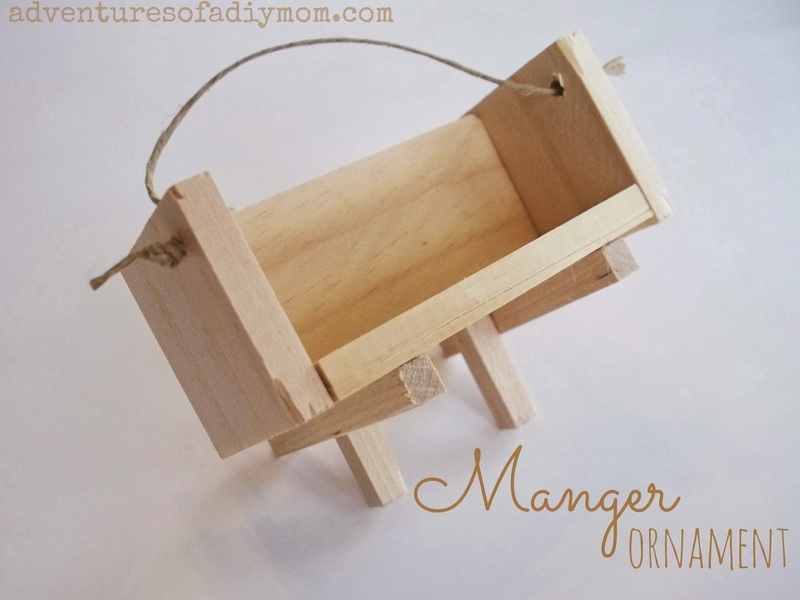 Step 7 - Drill a small hole at each end of the manger. Step 8 - Add some twine or wire for hanging. 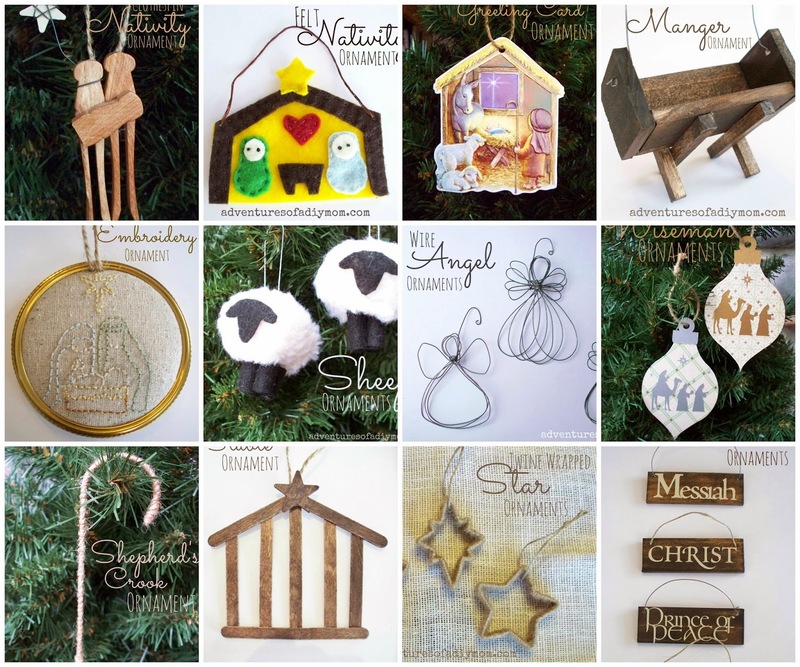 Love your Nativity ornaments! So meaningful! It is what Christmas is all about!